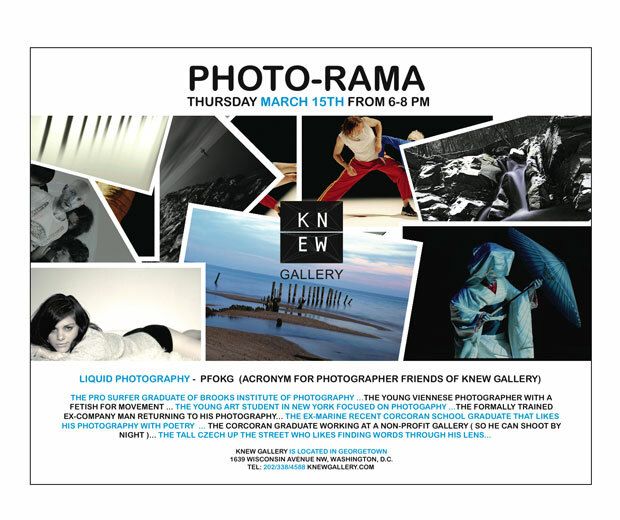 I am part of this photography exhibit March 15, in Georgetown. There will be good food and drinks there. If you can't make it on the Ides of March, the photos will be up from the 15th to the 31st. FYI:BYOB (Bring Your Own Body-armor) Someone is likely to get stabbed.